H.P. 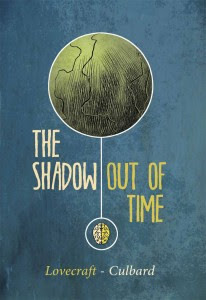 Lovecraft stories are always a fascinating read and The Shadow Out Of Time is a story that sees the reader go across space and time with the main character Nathaniel Peaslee. The original story was written by Lovecraft between November 1934 to February 1935 but would not be published until 1936 in the June issue of Astounding Stories. Nathaniel Wingate Peaslee is a man who becomes possessed by a Yithian, an ancient species that existed on Earth many years ago. Their survival is only possible by inhabiting the bodies of people on Earth. Though Nathaniel is unaware of any of this at the beginning he fears he is losing his mind. As the story progresses he becomes to understand the Yithian and their search for information and sees their world. Naturally his tales of far off worlds and ancient civilizations sees Peaslee coming across as losing his mind, he is adamant that what is going on is really happening. No movie adaptation has happened of this story as of this writing. If there was ever to be a movie the character of Peaslee would have to be played sympathetically as he seeks the truth. This is an interesting story that is quite atmospheric throughout and takes you on a journey. The imagery is fantastic to look at, especially the look of the Yithian. It must be hard for Culbard to bring Lovecraft's work to life in the form of a graphic novel, as readers of the original material would know Lovecraft had a tendency to go on a tangent in his stories. It may not be Lovecraft's most famous work but it is an enjoyable read and for first time readers a great introduction into the world of Lovecraft. The Shadow Out Of Time - A Graphic Novel is published by SelfMadeHero and is out now. (128 pages, colour. Available in paperback).